Using the Grass drawer system has led to many happy customers over the years. The airmatic, soft close runners provide style with a silent operation in both metal or quality board / timber sides. 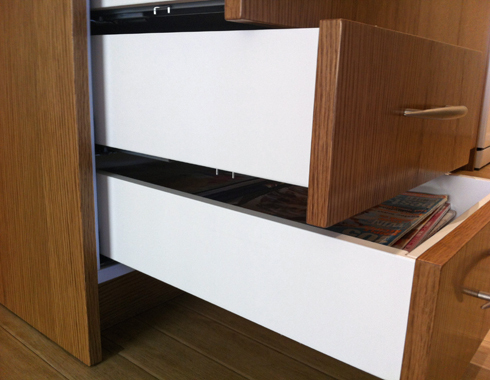 Grass drawers also come in a push release option as well as full electric version for effortless operation. The Grass brand is internationally renowned and amongst the best available.